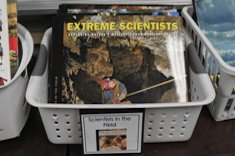 There's been a remarkable amount of brain research demonstrating how crucial environments are for learning. 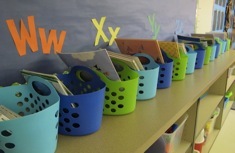 Cozy, well-lit and well-organized spaces are essential for literacy learners of any age. 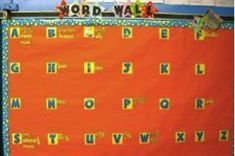 The constraints teachers face in designing and organizing their classrooms are enormous -- from irritated fire marshals to fear of lice infestations, with limited budgets always at the forefront. 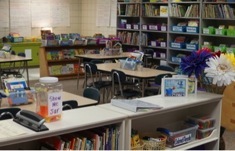 You'll be inspired by these beautiful classrooms, created by teachers who manage to design spaces any reader or writer would love. 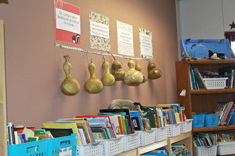 Students transition between home and school with the Community Board in Andrea Smith’s classroom. 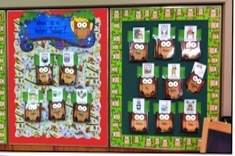 It’s a lively bulletin board that is updated and discussed daily in her fourth-grade classroom. 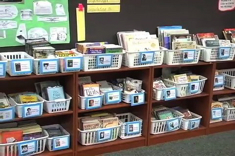 Ruth Ayres has tips for organizing desks, tables, chairs, and materials to support literacy learning. 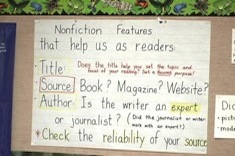 Andrea Smith builds interest in nonfiction in her fourth-grade classroom community through her constantly changing Information Board. 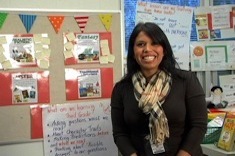 Stella Villalba writes about the importance early in the year of building habits with students that maximize time for English language learners. 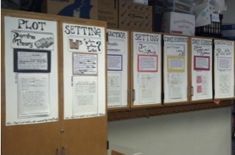 Christopher Carlson describes why and how he made reader response anchor charts more rigorous and thoughtful in his fifth-grade classroom. 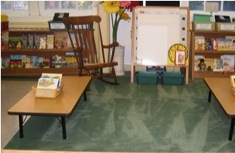 Katie Doherty has design tips for creating cozy reading spaces in middle school classrooms where there is no space or budget for a whole-class rug area. 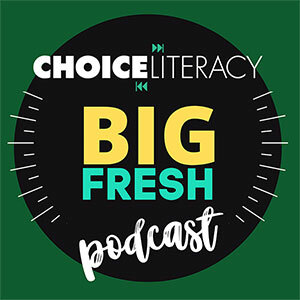 In this podcast, Franki Sibberson chats with Kristi Mraz and Marjorie Martinelli (the authors of Smarter Charts) about ways teachers can keep anchor charts in their classrooms fresh and useful. 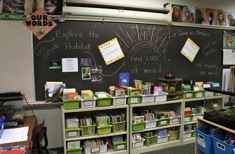 Katie Doherty explains how reading gutters, an inexpensive design feature, dress up her middle school classroom and build community at the same time. 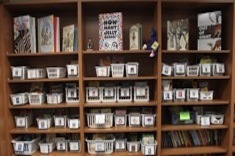 Ann Marie Corgill’s classroom design series concludes with ideas for organizing classroom libraries and a self-reflection tool for thinking through your classroom design. 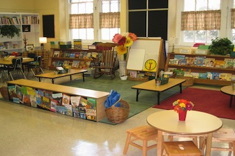 Ann Marie Corgill continues her design series, considering the connection between classroom design and values. 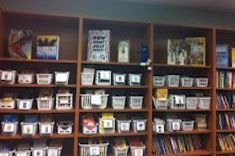 Ann Marie Corgill's classroom design series takes you through her process of redesigning a classroom. 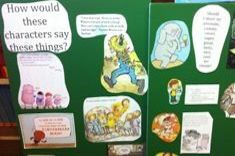 In the first installment, Ann Marie explains how her designs have become less cutesy and more student-centered over time. 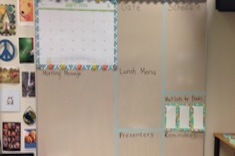 Keri Archer describes her process of creating a jobs list for her kindergartners, as well as how she has adapted the tasks based on the evolving class community. 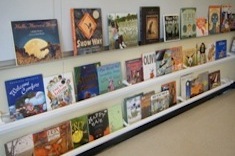 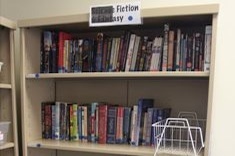 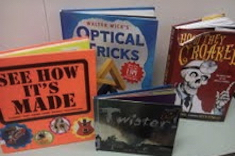 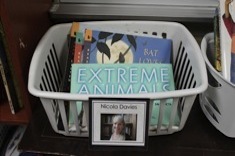 Are your book displays enticing to the boys in your classroom? 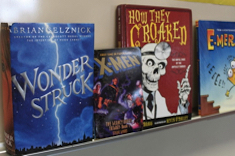 Tony Keefer has suggestions for making classroom libraries more appealing. 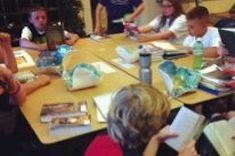 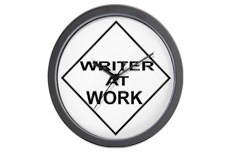 Ann Marie Corgill explains why a circle arrangement for middle school reading and writing workshop share sessions is vital for helping students focus and respond thoughtfully to peers. 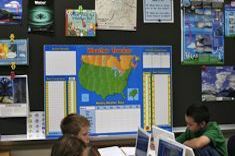 Andrea Smith reworks a board that was successful in the past but is woefully empty now.